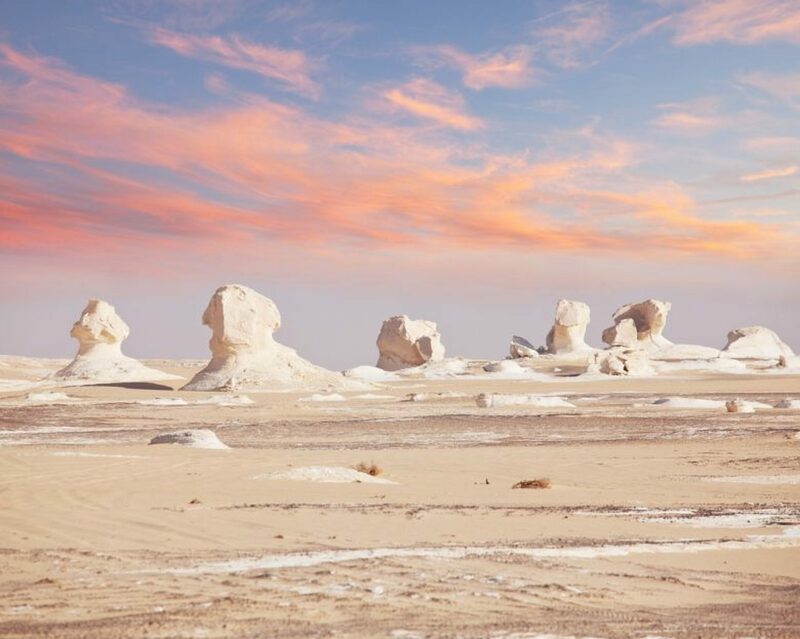 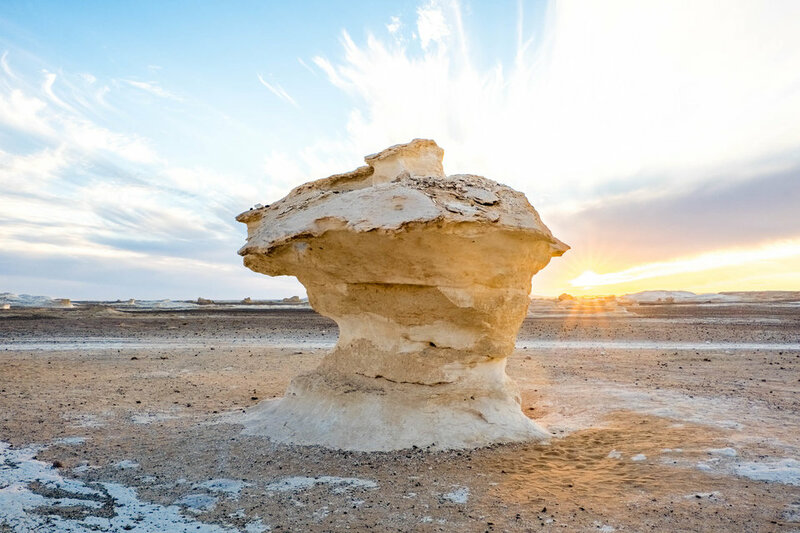 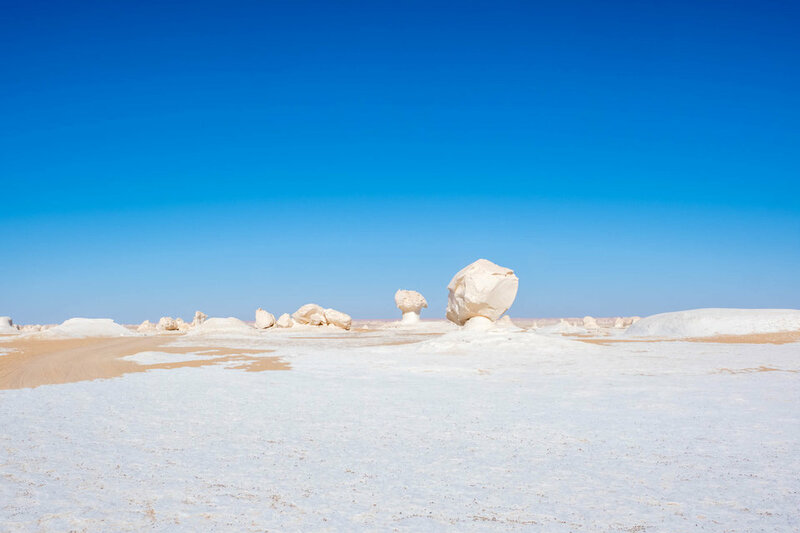 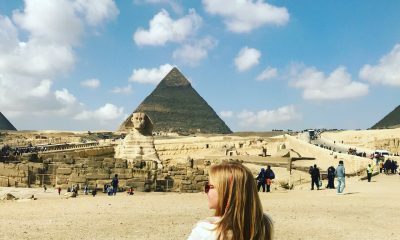 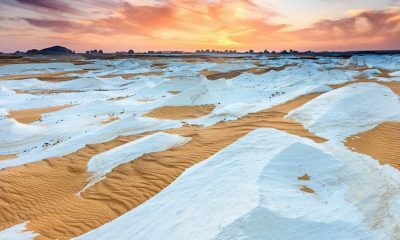 Located in the isolated Farafra Oasis, just a few hours from the busy streets of Cairo, lies the magical landscape of Egypt’s White Desert. 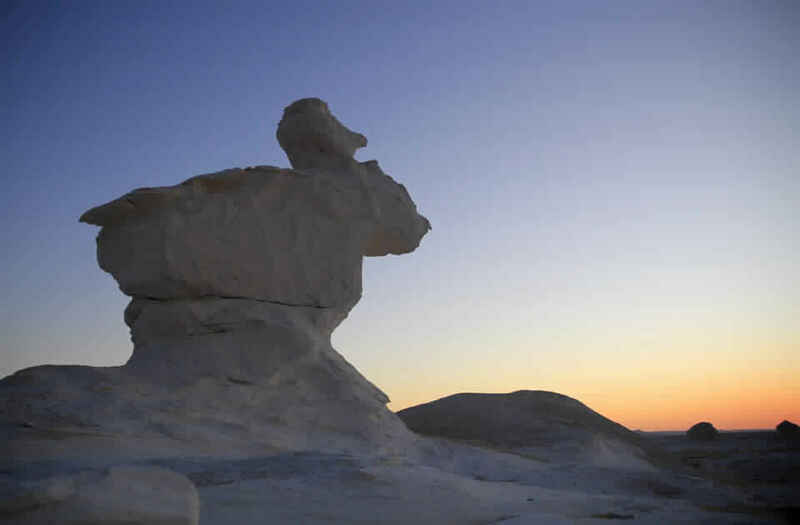 It is one of the most unique sites one could set eyes on, with its fascinating calcium rock formations that resemble great abstract and alien statues. 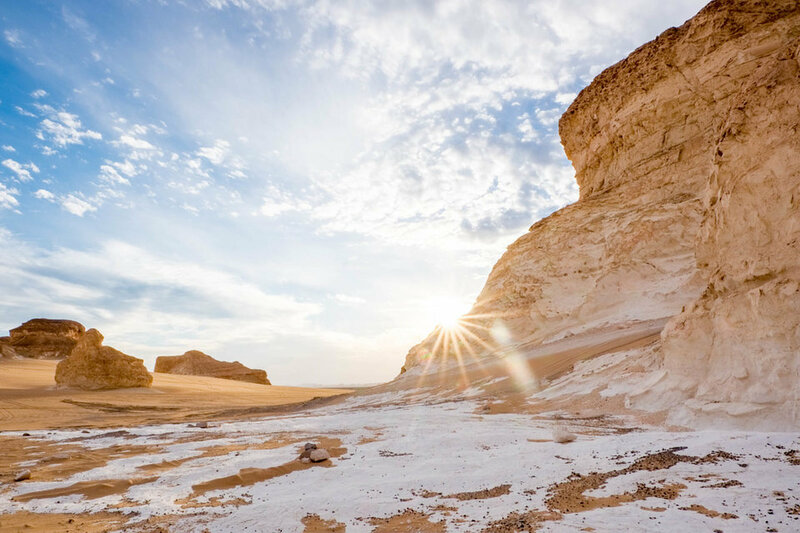 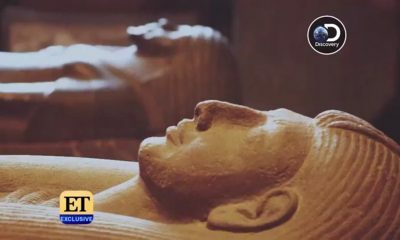 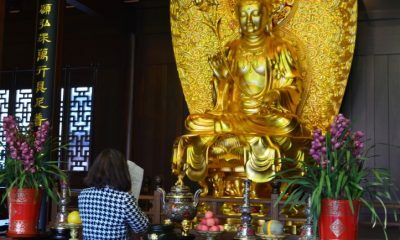 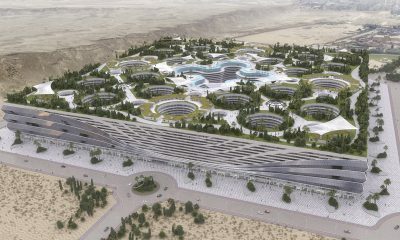 It represents an open museum of geology, paleontology and natural history, formed by centuries of erosion and sandstorms. 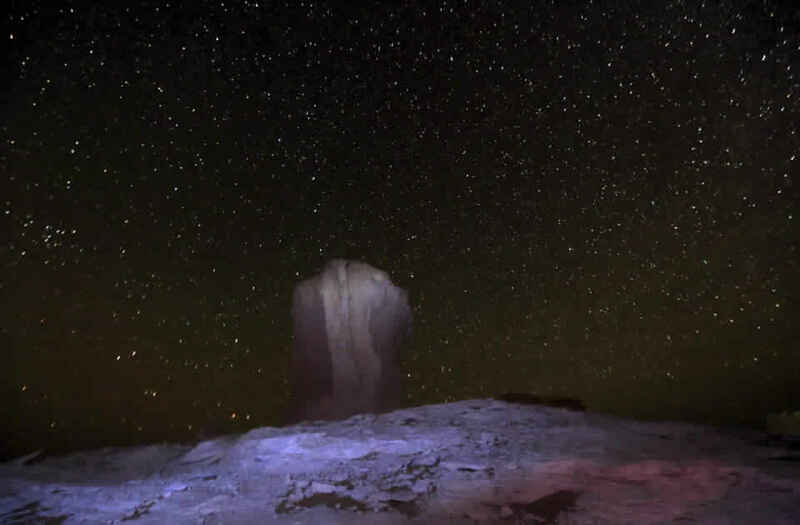 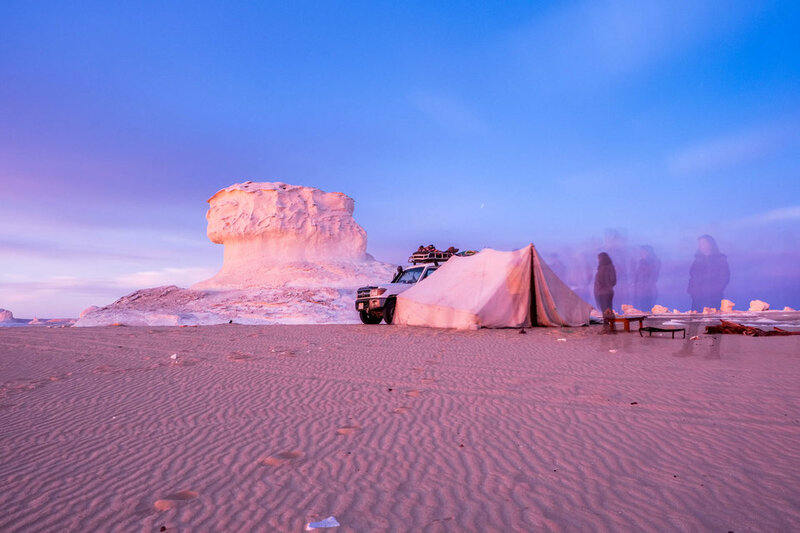 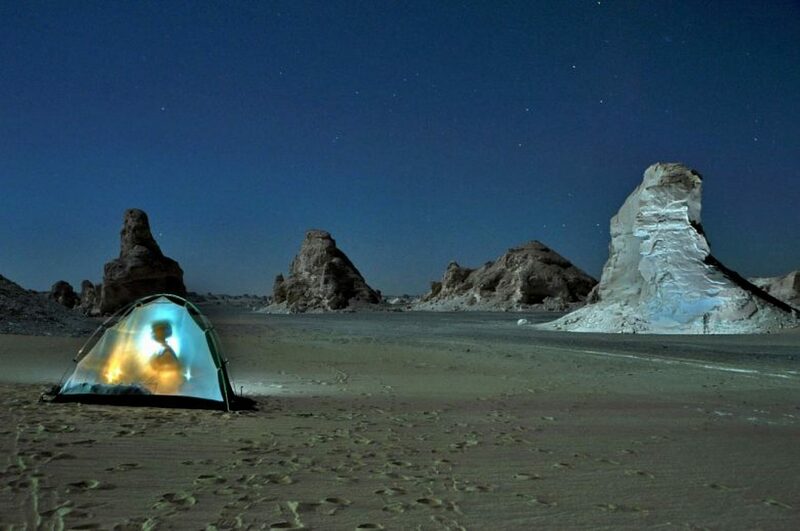 As you sit at a camp at night, seeing the stars of the White Desert will be an experience never forgotten.